I have posted links here to the many different references in the book, to add to your reading enjoyment! 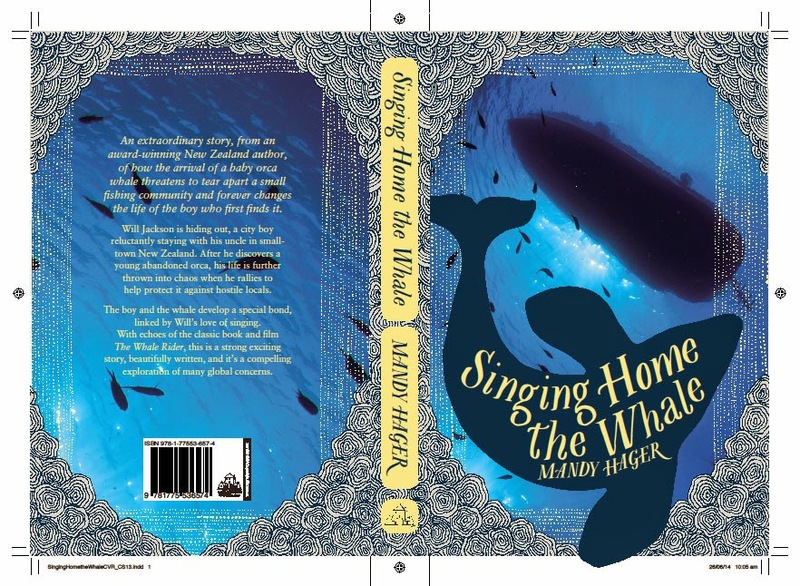 I’m so thrilled to announce that “Singing Home The Whale” won the Margaret Mahy Book of the Year at the 2015 NZ Book Awards for CYP and Best YA Novel. It has also been named a 2016 IBBY Honour Book, an international award from the International Board on Books for Young People. Can’t ask for more than that! It was also shortlisted in the YA category of the Lianza Children’s Book Awards and named as a Notable Book by the Storylines Children’s Literature Trust. An excerpt was used in our national English exams. Want to know what it is about? An extraordinary story, from an award-winning New Zealand author, of how the arrival of a baby orca whale threatens to tear apart a small fishing community and forever changes the life of the boy who first finds it. Will Jackson is hiding out, a city boy reluctantly staying with his uncle in small town New Zealand while he struggles to recover from a brutal attack and the aftermath of a humiliating Youtube clip gone viral. After he discovers a young abandoned orca his life is further thrown into chaos, when he rallies to help protect it against hostile locals. The boy and whale develop a unique bond, forged by Will’s love of singing. With echoes of the classic book and film, The Whalerider, this powerful connection is utterly convincing on the page. An exciting plot-driven story full of drama, tension and romance, this magical book captures both heart and mind to hold the reader enthralled from start to finish. These qualities, along with its lyrical use of language and its compelling and persuasive exploration of many global concerns, makes this a beautifully touching, rich and multi-layered story by an award-winning writer for young adults. Singing Home the Whale will appeal to all readers of high-quality New Zealand fiction. 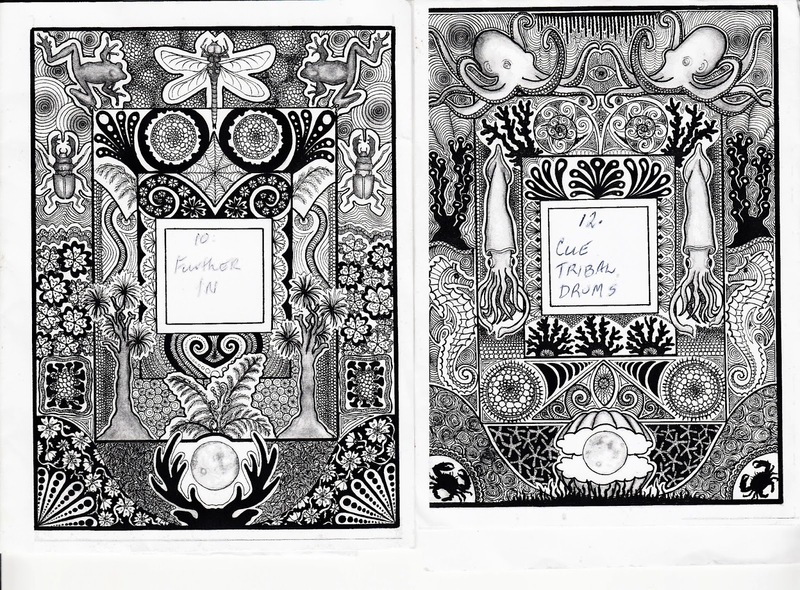 These wonderful black and white drawings – by my daughter Rose Lawson – have been used between the chapters, alternating between the land-based story and the sea story. Very excited to have these! Thank you Rose! I wanted to talk about the dangers of our disconnect from nature, and from the other animals who share our planet. And to explore our human hunger for power and control, and the damage possible in this new age of unrestrained reality TV and social media. And the, of course, there is the way we hunt whales and the appalling situation of keeping marine mammals in tiny pools for our viewing pleasure. And climate change and … okay, so I have a lot to say, as usual! But it’s also a book about loyalty and love, and the power of music, and of friendship – and how to find the courage to stand up and fight for what is right. Here’s a little taster of Luna in the flesh here . New Zealand has one of the world’s most knowledgeable orca experts, Dr Ingrid Visser. To find out more about her and the work she does, visit her website Orca Research Trust and check out the wonderful documentaries and clips in her media section – including audio files of orca sounds. She is one of the few humans who has swum with wild orcas and is doing amazing work trying to help protect the small at-risk community of orcas around our coast. Why not consider making her a donation to support her work? 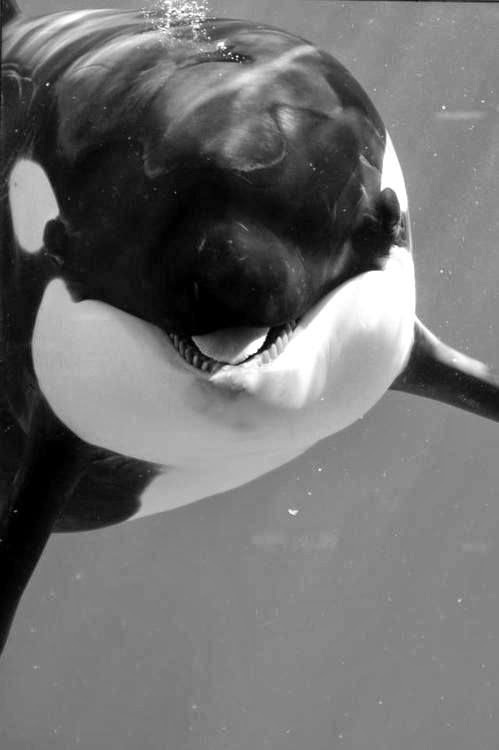 Orca Facts This website links you through to orca facts, stories and books, plus information about orcas in captivity and lots more! One of the most compelling arguments for ending the capture and captivity of orcas was made in this amazing documentary called ‘Blackfish’, which exposes the awful truth around the practice. 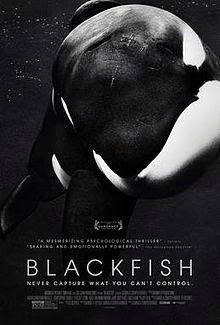 Wikipedia link and Blackfish movie link Blackfish tells the story of Tilikum, a performing killer whale that killed several people while in captivity. Along the way, director-producer Gabriela Cowperthwaite compiles shocking footage and emotional interviews to explore the creature’s extraordinary nature, the species’ cruel treatment in captivity, the lives and losses of the trainers and the pressures brought to bear by the multi-billion dollar sea-park industry. The Songs . . . When Will first finds Min, he sings to him – the first song coming to mind called ‘A Wandering Minstrel’ from Gilbert and Sullivan’s comic opera ‘The Mikado’, which Will performed the lead in at his old school. It is from this song, and from the particular minor key Min’s calls weave around, that gave Min(strel) his name. This particular clip is from a NZ version of the show that toured years back – I took both my children and we enjoyed it thoroughly! The following songs all come from the Mikado – snatches of each one popping into Will’s head at ironic times. ‘See How The Fates Their Gifts Allot’ – as referenced in the book – a lovely song about how random good or bad luck can be. ‘The Criminal Cried’ – including these words which resonate with Will: We know him well, He cannot tell, Untrue or groundless tales — He always tries, To utter lies, And every time he fails. ‘Taranata ra‘ from the Pirates of Penzance – the song Will took to school as a little boy – one of Gilbert and Sullivan’s finest! I love this version – look out for Linda Ronstadt! “Amazing Grace” is one of the most recognizable Christian hymns in the English-speaking world. The text by English poet and Anglican clergyman John Newton (1725–1807) was first published in 1779. The words describe in first person the move of a “wretch” from a “lost” to a “found” state by a merciful act of God. The melody, “New Britain”, was first published in 1829 by Charles H. Spilman and Benjamin Shaw (Cincinnati). Unattributed to any composer, the melody combines two earlier melodies (“Gallaher” and “St. Mary”) and possibly represents a confluence of oral traditions. “New Britain” was wedded to Newton’s text in 1835 by composer William Walker to form the hymn familiar today. Have pre-ordered this book on Kindle but my order has been canceled an I can no longer find it in the Kindle store. What is happening here? Thanks for getting in touch – there has been some problem with the file at Amazon – they're onto it now so shjould be sorted very soon – please do try again in a week or so! Loved it Mandy. Thank you for sending our school a copy. We now have two and they will be well read. Thanks Random House too. I wrote a review for our Facebook page – here it is for you to see what I got out of your book. When a troubled teenage boy nearly literally bumps into an orphaned baby orca an unbreakable bond is created. The only problem is interacting with a whale in New Zealand can incur a $10,000 fine and the local salmon farmer is determined to kill the whale who he sees as a threat to his and most of the town’s livelihoods. The story is told in first person from the whale’s point of view and third person from Will’s point of view in alternating chapters. It manages to incorporate a lot of issues in the story without them detracting from a very readable book. Sustainable fish farming, whale conservation, internet bullying, friendship, love, family issues, small town mentality, domestic abuse and Maori culture will all be found here. It’s also quite a tear jerker and I’m sure you’ll all be rooting for Will to save his beloved whale, get the girl, make a life-long friend and turn a town’s attitude around. Most especially you’ll want to hear this very special whale’s story. Thanks Coralie – I'm glad you liked it! Yo! Listen up! The future is already here. “Free speech”: what’s really going on?